With the amount of social media platforms out there for you to be participating on growing by the day, it’s no wonder that many entrepreneurs feel stressed when it comes to their social media strategy. 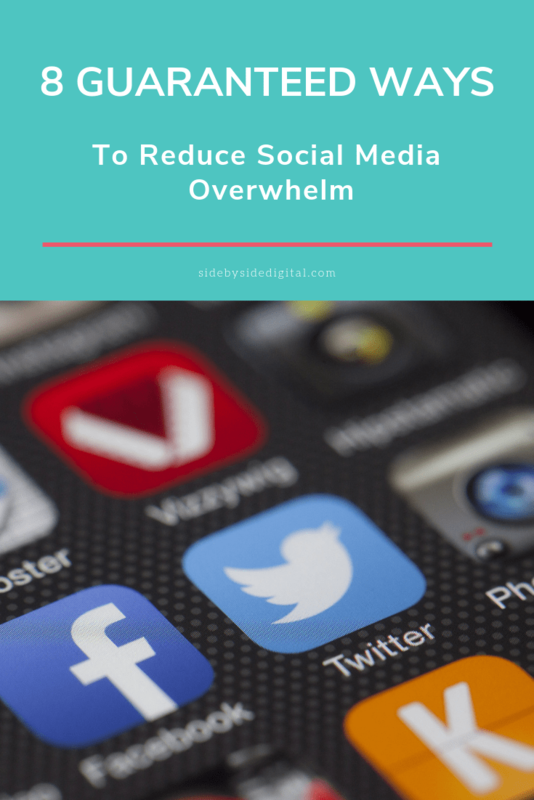 Though not to worry, there are somethings you can do to help reduce social media overwhelm and curb the anxiety you may be feeling. Social media has grown into an incredible opportunity for business owners, but it has also grown more complicated. There are now more options than ever, so how do you know where to direct your time and resources for optimum ROI? You don’t need to be everywhere, all the time. You only need to be where your target audience hangs out. In most niches, it will be possible to reach your ideal customer by honing in on a couple of social media outlets. You may want to think outside the box too. There could be some smaller networks that were more concentrated with your audience that would involve less time and money on your behalf to participate on. In order to do this, you must first know exactly who your target audience is and what they care about. Start by defining your customer avatar (you can get your free customer avatar worksheet). Also, take a look at your competitors. Then look at where they invest their resources online. What social channels are they on? If they are active on multiple social media channels, where are they getting the most engagement? If you have the resources and manpower to kill it on several social media channels, feel free. But if you’re just getting started, it’s possible you are underestimating the time commitment it takes to be successful on just one social media channel. Take Instagram for example, there’s the time to take photos, edit them, post on a daily basis as well as commenting (and I mean really commenting) on other’s posts. Knowing ​what you’d like to achieve and how you want to do it, will help you to determine whether or not you’re on the right track. Before choosing your social media network(s) you’ll need to consider your ultimate objective. While the immediate goal is engagement and channel profile growth, what long term business objective is social media helping with? Once you’ve determined the high level goals of your social media strategy, you’ll need to figure out your KPIs (Key Performance Indicators). For example, if you’re on social media to raise awareness, an indicator of success could be more people asking about your services , an increase of website traffic coming from social media (check your Google Analytics), etc. I know for me, I really have to be in a writing mood to create blog posts, or in a particularly creative mood to create my instagram posts. I tap into these moments by hunkering down and batch creating posts. Typically I schedule all my Pinterest pins (using TailwindApp) and my Instagram posts on a weekly basis. Scheduling definitely helps reduce social media overwhelm. I use tools like WordPress and Co-Schedule to post directly to Facebook, Twitter and Google+ and schedule it accordingly. With Co-Schedule you can craft your message for each platform (which I love), so it doesn’t just post your blog title and link. You can also add necessary hashtags to your message if it will help with your outreach. There are some pretty nifty automation tools out there to help with social media. While they usually come with a cost, spending a few dollars per month to save a few hours and much headache may be worth it. Check out MeetEdgar if you are looking for a service that uses a defined library and set of rules to send out older content. IFTTT is another one of my favourites that lets you set up Applets that specify If-This-Than-That statements. For example, if I post on with the hashtag #inspirationalquote, save that image to a defined Pinterest board. If you are using social media for customer service, have boilerplate correspondence text that you can use and reuse in new contexts or applications that you can copy and paste in Facebook, Twitter, LinkedIn or any other social media platform. Start by creating an allotted slot and engaging 2 – 3 times a day to provide useful updates, answer questions, post questions, share photos and news stories. Have them all ready to go, so you can schedule them out using tools like Buffer and Hootsuite. Though if you go the scheduling route, please make sure you pop into your chosen platforms and engage like a real human being. Be sure to take the time to find out which platform gives you the most return on investment (ROI). This will help you understand where best to spend your time to avoid the overwhelm. If you are managing social media for your company or somebody else, this can also help you justify to your client, boss or supervisor on why you’ve decided to spend more time on a certain platform. Take a look at the referrer source in Google Analytics to see where your social media traffic is coming from. 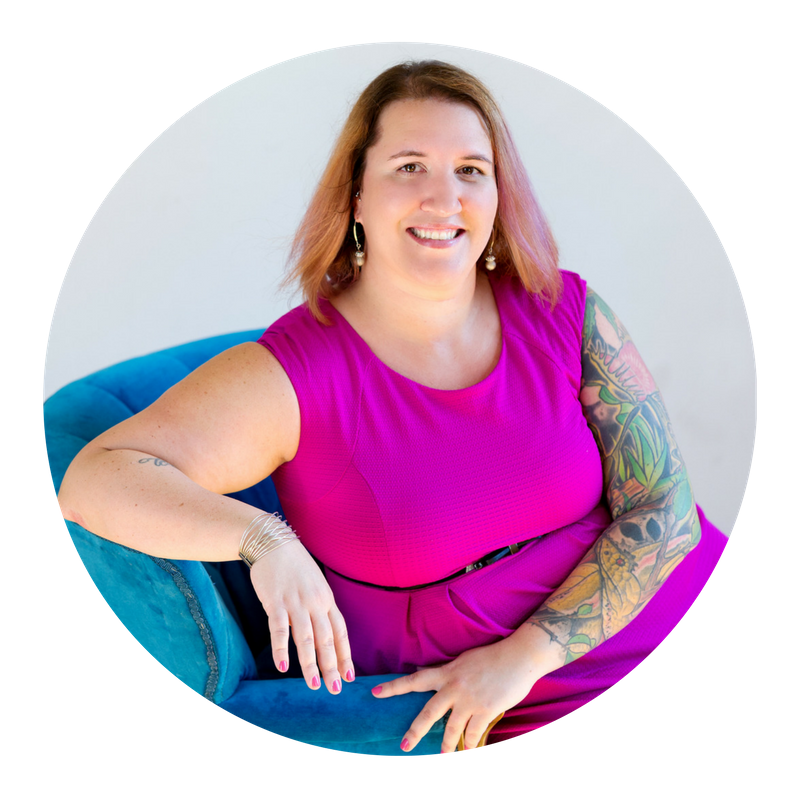 You can kick it up a notch by setting up goals (when someone purchases a product, signs up for a newsletter, etc), you’ll be able to see the originating source on your completed goals – how cool is that? If your business is growing and you just can’t keep up, it’s probably time to look into getting help. There’s two types of help you can get. The first is to get a virtual assistant (VA) and the second is to get a social media manager. Please don’t confuse the two, there are two very different things. Are virtual assistant will do the posting for you. You will likely provide your VA with a list of posts to create and a method to post them. This will save you loads of time in the creation department. Using a VA will give you complete control of the content that goes out and you’re still the brains behind your social media strategy. Get a social media manager if you need help with strategizing your social media outreach and someone to work on your whole social media strategy. This will take your social media strategy to a whole new level, as your social media manager will know how to capitalize on your strengths and content to repurpose and distribute them accordingly.